Striving to exceed your expectations. 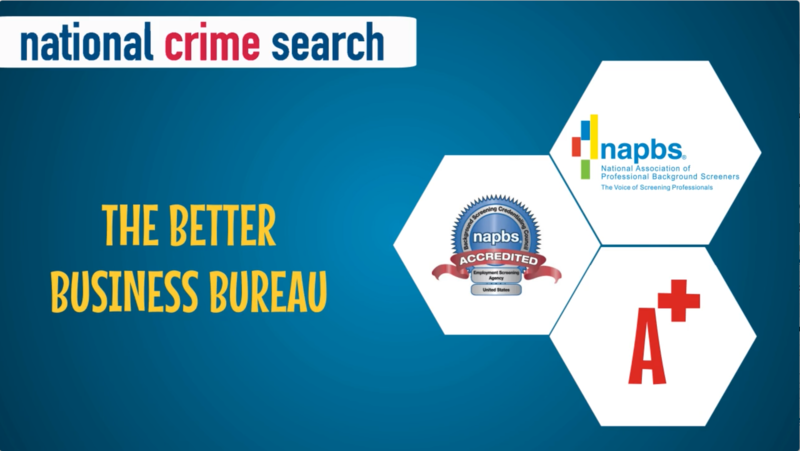 National Crime Search, Inc. (NCS) is a nationwide provider of background checks, employment screening, and volunteer screening. NCS is large enough and experienced enough to handle all of your background screening needs, yet small enough for you to know the owner and the staff. The NCS management team has over 40 years combined experience in the background and employment screening business. NCS is committed to providing you the information you need, quickly and affordably. Customer Service and Advanced Technology! Want to know how NCS does business? You can ask one of our customers, read our Testimonials page, or check out The NCS Way for details. We’re serious about how we treat our customers. For more information about NCS call 888-527-3282, use our Contact Us form, or e-mail service@nationalcrimesearch.com. NCS is also serious about being able to quickly respond to your technological needs. We’re as much a web-based technology company as a background screening company. That’s why we have an in-house programmer who can program custom packages for you as you need them. We also rely on a team of programmers who are the best in the country dedicated to helping us provide the solutions and technology you need. Growing up around family businesses gave Travis the entrepreneurial bug at an early age. He started two businesses while still in college at the University of Arkansas – Walton College of Business. One of these start-ups grew to be one of the largest independent payroll processing and timekeeping companies in Arkansas. Travis later sold this business and put his experience to work with other entrepreneurs to launch several other businesses which continue to prosper today. At an early age, Travis learned that employees are a company’s biggest asset and can also pose substantial risks. Travis has been the guest speaker at many organizations over the years on numerous small business topics, many of which included employment issues and hiring practices. Travis has a passion for small business and for the outdoors. When you don’t find him at the office you might find him fishing and camping with his wife and three sons or kayaking down one of the beautiful rivers in the Ozark Mountains. Travis is past President of Northside Fayetteville Rotary, has served on the Walton College Business Alumni Advisory Council, and is Past Chairman of the Small Business Committee at the Fayetteville Chamber of Commerce.